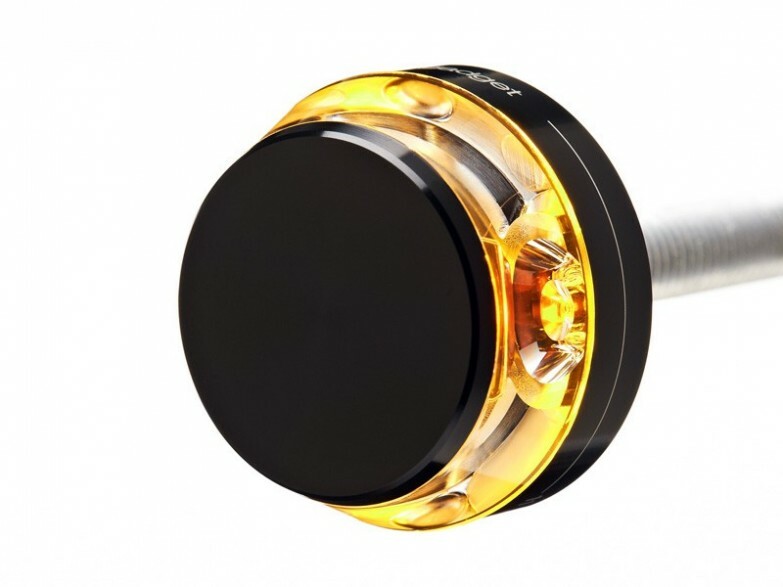 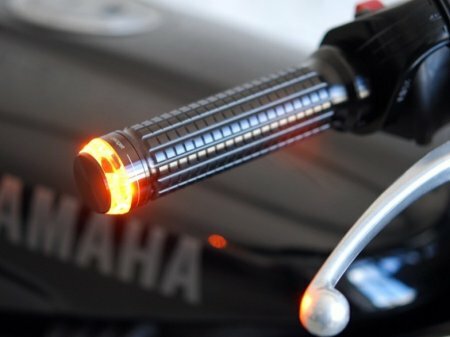 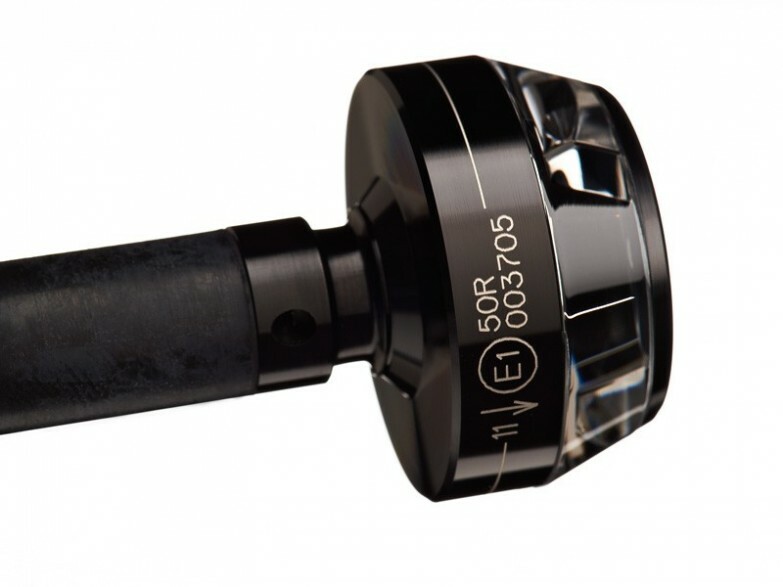 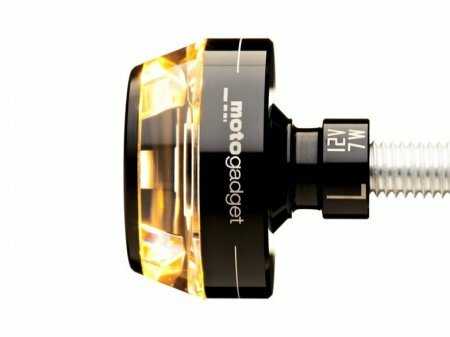 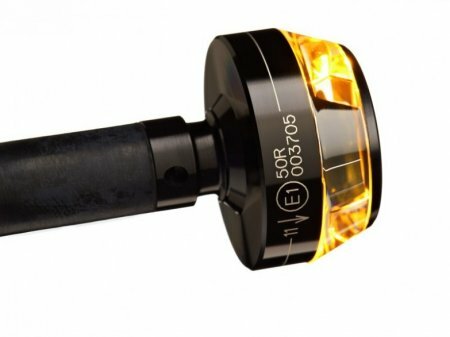 M-Blaze Disc style Black LED bar end blinker for 7/8" or 1" handlebars are sold individually and are specific for the RIGHT or LEFT side mounting. 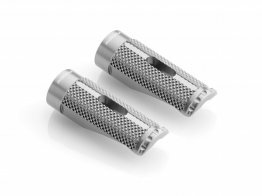 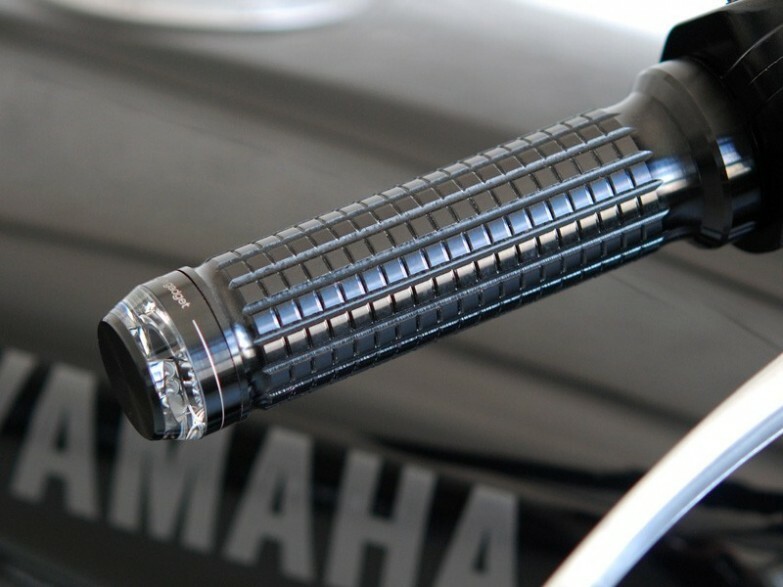 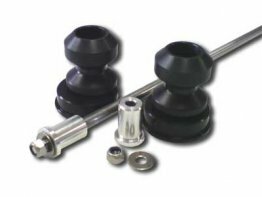 Installation: rubber clamps for inner handlebar diameter of 14mm up to 21 mm are included. It fits very nicley with motogadget's m-Grip.